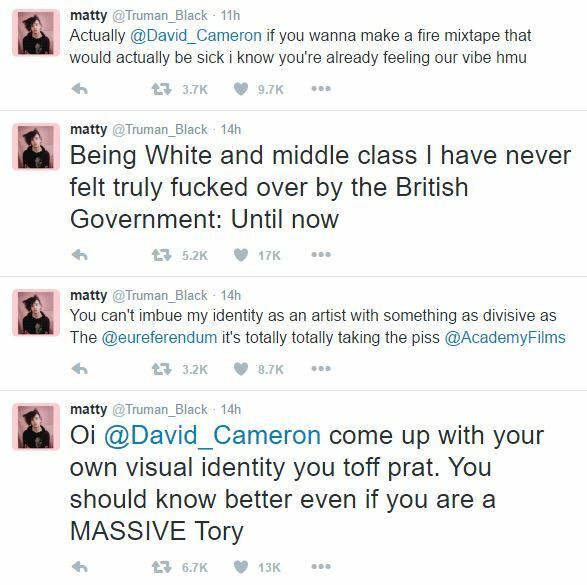 There’s been a lot of ranting on Twitter lately – Kanye West, Katie Hopkins, Azealia Banks, and now, The 1975’s lead singer Matt Healy. 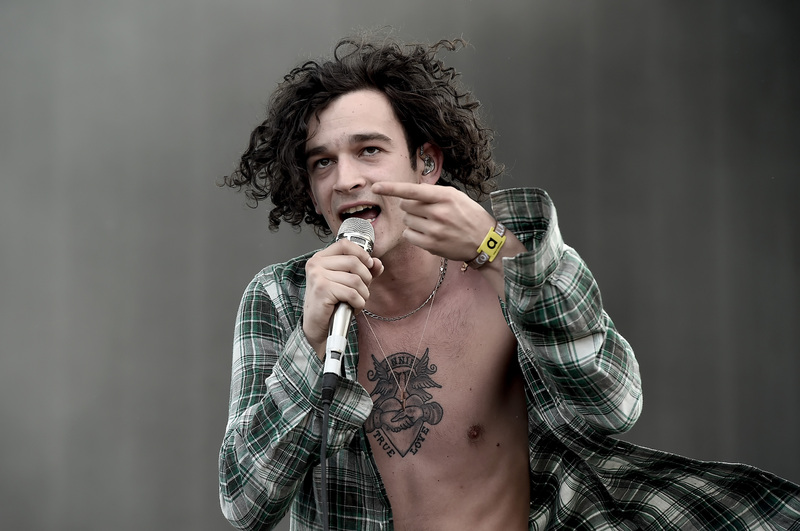 In very Kanye-esque style, Healy accused the UK government’s Brexit campaign of stealing his ideas. 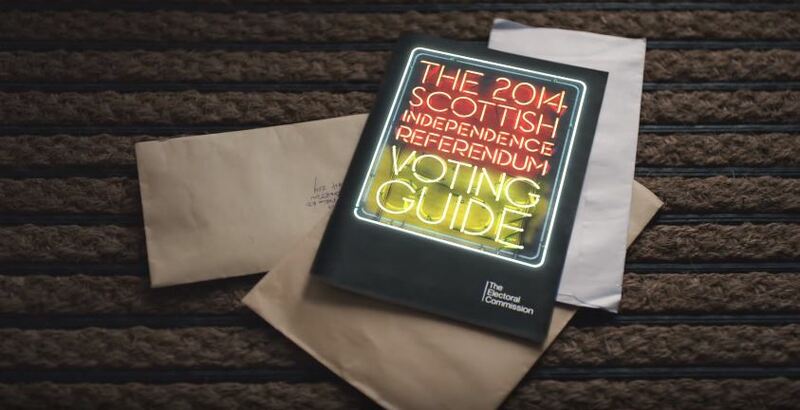 The video in question showed some eye-catching neon signs with a backdrop of everyday British life – a desperate plea by the government to get regular people to have an opinion on Brexit. But Healy kindly took to Twitter to let the UK government, David Cameron and everyone else on social media know that the advert’s visual concept is actually stolen off his band’s own recent artistic masterpieces which used the same medium. The photo series was commissioned for The 1975 but captured and created by Norwich based photographer David Drake – not Healy himself. And it seems like the Internet is right – it seems as though Healy didn’t dig deep enough before accusing the UK government of creative theft by neon signs. See any similarities to the EU referendum? 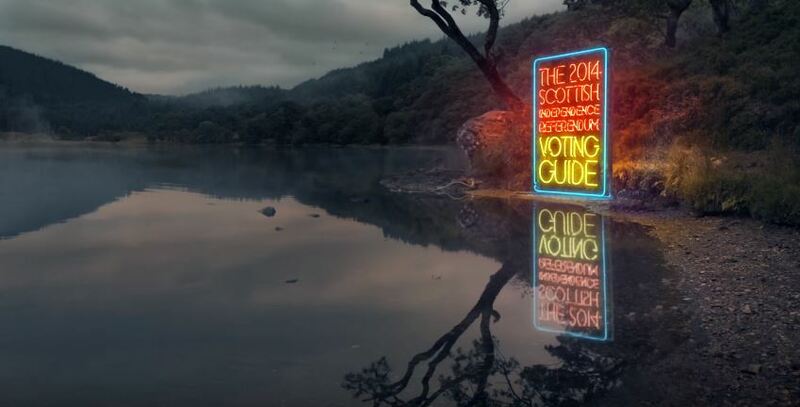 This visually similar advert for a similar campaign was released two whole years before The 1975 released I Like It When You Sleep for You Are So Beautiful Yet So Unaware of It. 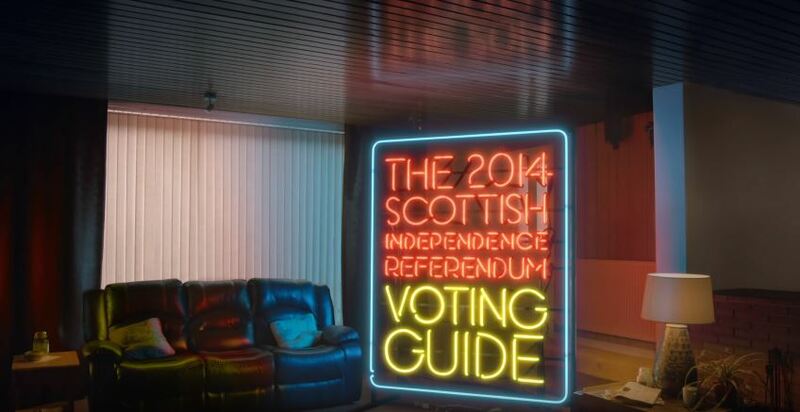 So basically, the government isn’t ripping off The 1975’s ideas at all – they’re referencing the contextually similar Scottish Independence Referendum from 2014. Sorry, Healy, can’t win this one.